There is a big disconnect between how you sell your products and how it is received by your clients. As a result, 9 out of 10 times your important messages don’t get through. Messages are sent from the smart and new part of the brain. But they are received by the part that is 5 million years older (and not as bright). This is a serious problem if you want to be successful. You need to understand why this disconnect happens in order to overcome it. Although we think that decisions are being taken by our rational brain, this is not true. Research shows that 95% of our decisions are actually driven by our subconscious mind. This subconscious mind sits in the most primitive part of the human brain, called the ‘reptilian brain’. Many of our survival mechanisms are ‘saved’ in the reptilian brain, like our instinct and our fight and flight mechanisms. It takes care of our blood pressure, breathing, immune system, but also of our emotions, humor and behavior. The reptilian brain has its own life and does not listen to the rational parts. 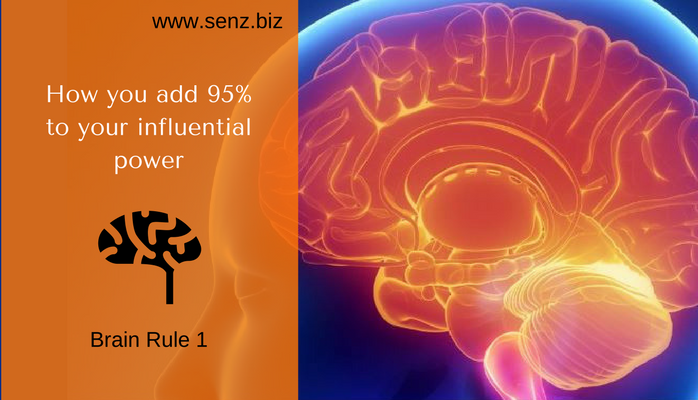 If you try to sell your products based on rational info alone, you only use 5% of your influential power. By triggering the reptilian brain, you can talk to the heart and minds of people. I will share ‘proven brain rules and tips’ with you to trigger the reptilian brain and add an extra 95% to your influential power. In this article, you find brain rule 1. Have you ever heard of Bart de Graaff? 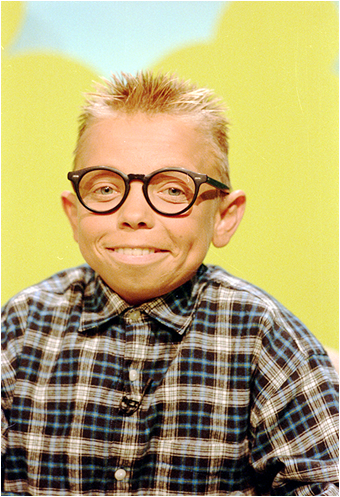 When he was 20 years old (and still looked like a small kid) he took part in a funny TV-advertisement and was asked to make an own program for one of the biggest Television Channels in Holland. After that, he started, as a jolly, extravert brat a new public television channel: BNN: Bart’s News Network (with a wink to CNN). (also about himself), that you usually avoid mentioning. He wanted to show that you should live life to the fullest, nothing should limit you and hard things should be confronted. He spent more time in the hospital, than outdoor, but still he continued making programs full of energy and enthusiasm in his own playful, shocking way. There is a reason why some people and companies, like Bart with BNN, have so much energy and are so successful. They attract clients who trust them and want to belong to them. Opportunities and clients come to them, spontaneously. Bart has a mission, a higher goal; he has something to share with this world. And he connected himself to this with his heart and soul. Brain rule 1 is: Share WHY you exist, your higher goal. Have a clear and inspiring message. What do you have to offer as a company, team or individual? Those who know their WHY are the ones who lead. They are the ones who inspire. It’s definitely worthwhile to read Simon Sinek’s bestseller: ‘Start with Why’. Do you remember this impactful model? This first brain rule is very closely related to self actualization. 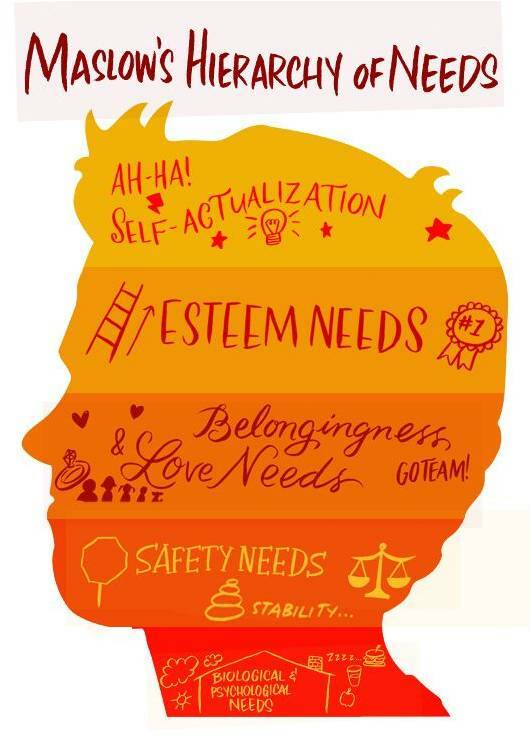 This level of psychological development can be related to finding a meaning in life. And this is exactly what you are offering with you WHY. A WHY triggers the internal drive of people. Can you imagine how this positively impacts your clients and employees? And yourself 🙂? Companies with a WHY are very inspirational and attract employees and clients, spontaneously. They have created their own niche, their own space in the market, they focus on a specific group and you immediately recognize them by their approach and style. Their group of clients wants to belong to this and will be loyal fans and clients. This also means that a premium price for specialized services and products is possible. On top of this, team-members love to work for this kind of companies; they feel engaged and each of them feels part of the success. I worked with quite a few brand- and company owners who are passionate about what they want to achieve in this world. Stefan invents products to improve quality of life for the disabled. Jeffrey wants to shape habitats for poor people in Brazil by selling investment funds, Thomas wants to make the world a little better by his health innovations. Big ideas! I believe they can make the difference! One of my favorite examples is Dove. They have a clear WHY and are extremely successful. They advocate that every woman is beautiful. This brand is honest, pure, feminine, optimistic and confident. They show this everywhere: in their packaging, advertising and in their Dove self-esteem project. This project helps young people develop a positive relationship with the way they look. They are highly successful. Finally, let me share my own experiences. In my first job as brand manager of a product to relieve cancer pain, I realized how many people are suffering of chronic pain and how this impacts their life. My mission was not to sell as much of this product as possible, but to really help those people with pain, to give them a place to go to, to educate care providers, to give them the tools to relieve their pain. The side effect: we became market leader in the Netherlands. Also in other fields, like urinary incontinence and BPH, my team and me developed programs to support ‘patients’ to not feel ashamed and improve their quality of life. This way, my team made 4 products the global market leader! Now, I help companies, who also have a mission, to attract more clients. That’s my mission!